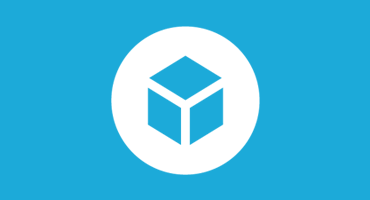 123D Catch from Autodesk is a fast and easy way to create 3D scans of practically anything. And with our recent launch of 3D Scan Thursdays (#3DST) we decided to put together this quick little demo so that you can join in on all the fun! It’s pretty cool, I know. First step is to choose the right space to do your scan, well lit with few shadows. Natural light always works best. Place some sort of platform in the center for your object, just your average bar stool works great. But if you can walk around it, you can scan it! Now take a piece of scrap paper and draw a scribble or 8 on it, an old newspaper also works. You need this to create a reference within your images. Place it on the stool/table or whatever you chose and place your object on top of it. make sure to place it how you want it because you will not be able to move it at all until the scan is over. Side note: From this point on I am doing the process for manually 123D Catch-ing your model, there is also a 123D App available for your Smartphone which works very well. It follows the same procedure, just minus the computer! Now using a camera (practically any will work, though the higher the resolution the better, I just used my iPhone) frame the object in the center of your photo, from the side of the object. Make sure its in focus and capture! Take 20-30 (or more if you want, 123D accepts up to 70!) of these incrementally around the object from the same distance. Then 5 – 8 more from a higher angle. Now upload all the photos to your computer and open the 123D app online. Sign in with your Autodesk account and start a new 123D project. Upload the photos you just took, check the thumbnails for any that need to be rotated or deleted. Click next and Autodesk will start stitching them together for you. When you come back to the web app, make sure you’re still signed in, click the little icon in the top right, click open, my projects, and open your model! Now Its going to look a little messy at this point, it probably caught a lot of the room along with the object you wanted scanned. The tools in in the app make the cleanup process simple, it’s a lot of just select and delete. Now once your model is all cleaned up, hit the save icon, and then EXPORT AS OBJ which can be found in the same drop down we used earlier to open the model. 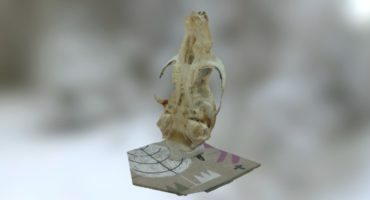 Your computer will download a compressed (.zip) file, save it and open up Sketchfab! Once logged in hit the upload button in the upper right corner, open the compressed file exactly as it was downloaded from 123D and it will start uploading. While its doing its thing you can give it a title (be sure to include #3DST so others can find it! ), description, and some tags. If you’re experiencing any issues with the rotation you can fix that by clicking 3D Settings under the Settings drop down menu on the model. That will bring you to the Model Editor where you can fix the rotation, change the background/environment, and retake your snapshot! Be sure to share your models using #3DST and we’ll be sure to share the ones we like on Thursdays! And you didn’t hear it from me, but we may even announce some themes every now and again through twitter to keep the competition strong, so be sure to follow us here. If you need any help with your #3DST scan, or anything Sketchfab, feel free to contact me, I’d love to help you out!